Jamie Roberts has many different facets to his personality, and his interests. You may recognise him for playing in the Welsh rugby team, but did you know he’s also a qualified doctor. He is also a bonafide watch aficionado, and we thought it fitting to have a get together with Mr Roberts to discuss his love of timepieces, and find out what’s in his collection. Our Senior Watch Buyer, and watch expert, Faye Soteri met with Jamie at our Regent Street showroom to give him a tour, show him our newest pieces, and find out more about his own collection. He reveals that buying a watch is a treat to himself to signify or recognise an achievement in his life, and this first started in 2009 when he was chosen for the Lions Tour in South Africa. His first choice of timepiece was the TAG Heuer Carrera Calibre 8. Arguably TAG Heuer’s most famous collection of watches, the Carrera range was founded in 1963 after the Carerra Panamericana road race. TAG built this exciting range of luxury watches to be reliable, accurate and stylish – a collection of eclectic and desirable watches. The TAG Heuer Carrera Calibre 8 GMT Men’s Watch comes equipped with a 41mm stainless steel case, which houses the black dial and hand-made automatic movement that provides the power. Attached to the case is a stainless steel bracelet, fitted with a folding clasp for increased comfort on the wrist. The timepiece is water resistant up to 100 metres. His next memory in need of commemorating was two years later at the Rugby World Cup in New Zealand and the next was in 2012 when Wales won against France. As he was in Cardiff for the match anyway, Jamies paid a trip to our Watches Of Switzerland Cardiff store and had his heart set on a piece that would remind him of such a joyous time each and every time he wore it. 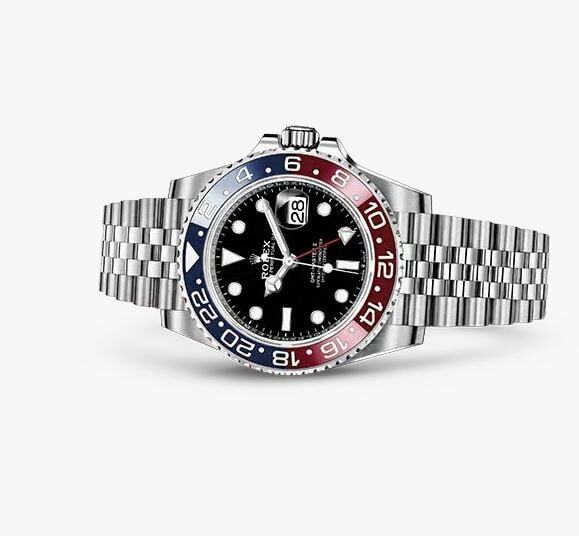 It was a vintage Rolex GMT Master and it helped that the watched two significant colours- red for Wales and blue for France. How fitting. The GMT-Master, introduced in 1955, was developed to meet the needs of intercontinental airline pilots, and proved invaluable to those whose professions involve long-distance travel. Featuring a rotatable 24-hour graduated bezel and a separate 24-hour hand, it allows those who travel the world to read two different time zones simultaneously, and up to three by turning the rotatable bezel. 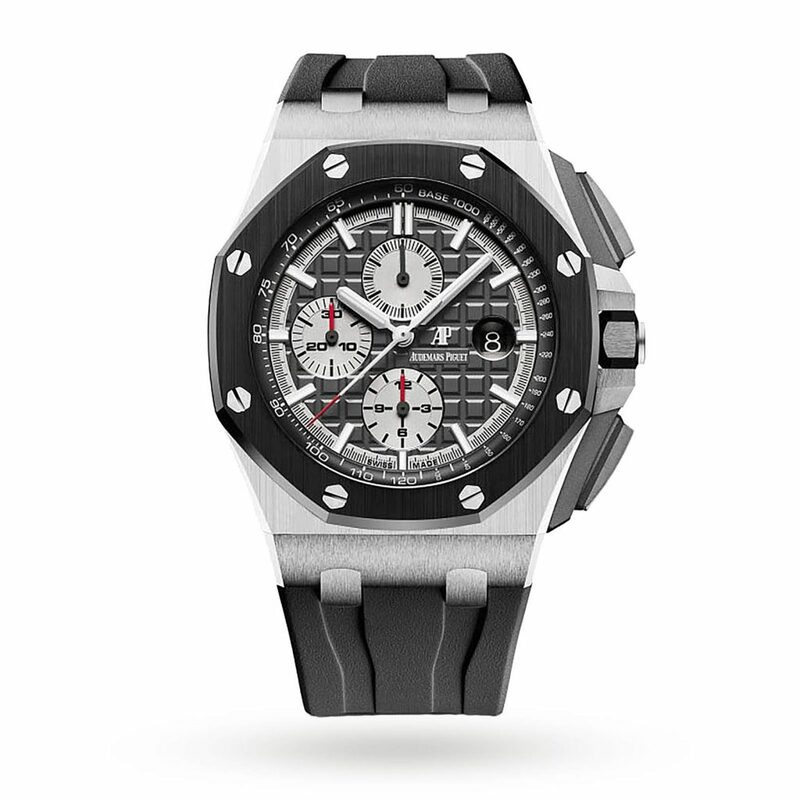 To commemorate his graduation in medicine, Jamie opted for something a little more special in the Audemars Piguet Royal Oak Offshore Mens Watch. Audemars Piguet is the oldest fine watchmaking manufacturer still in the hands of its founding families (Audemars and Piguet). Since 1875, the company has written some of the finest chapters in the history of haute horlogerie, including a number of world firsts. The famous 1972 octagonal Royal Oak, the first luxury watch to be made of stainless steel, is widely recognised as one of the most important innovations in watchmaking. A feat of jewellery manufacture and aviation necessity, the large model Santos de Cartier Men’s Watch is immediately recognisable by its original rounded dial angles, curve of the horns and iconic exposed screws. 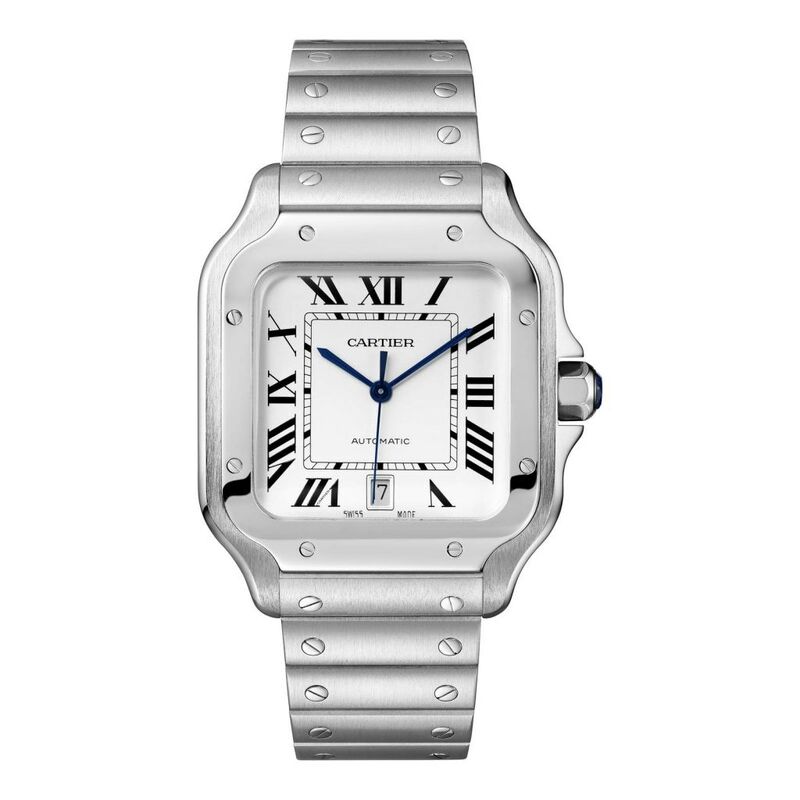 This handsome watch encases Cartier’s blued-steel sword-shaped hands and is made for outstanding performance under the toughest circumstances, boasting 1847 MC mechanical movement with automatic winding and water resistance to 100 metres. The steel bracelet’s “SmartLink” resizing system ensures functionality as well as stunning, stripped-back aesthetics. Both of the included steel and calfskin bracelets are equipped with the “QuickSwith” interchangeability system, so you never lose focus from your adventurous lifestyle. One of Cartier’s most iconic collections, the Santos de Cartier family was introduced in 1904 as the result of a promise Louis Cartier made to Alberto Santos-Dumont to create the first ever wristwatch suitable for flying. Having been part of all six lunar missions and endorsed by NASA as the first watch on the moon, the legendary Speedmaster family represents Omega’s adventurous, pioneering spirit. 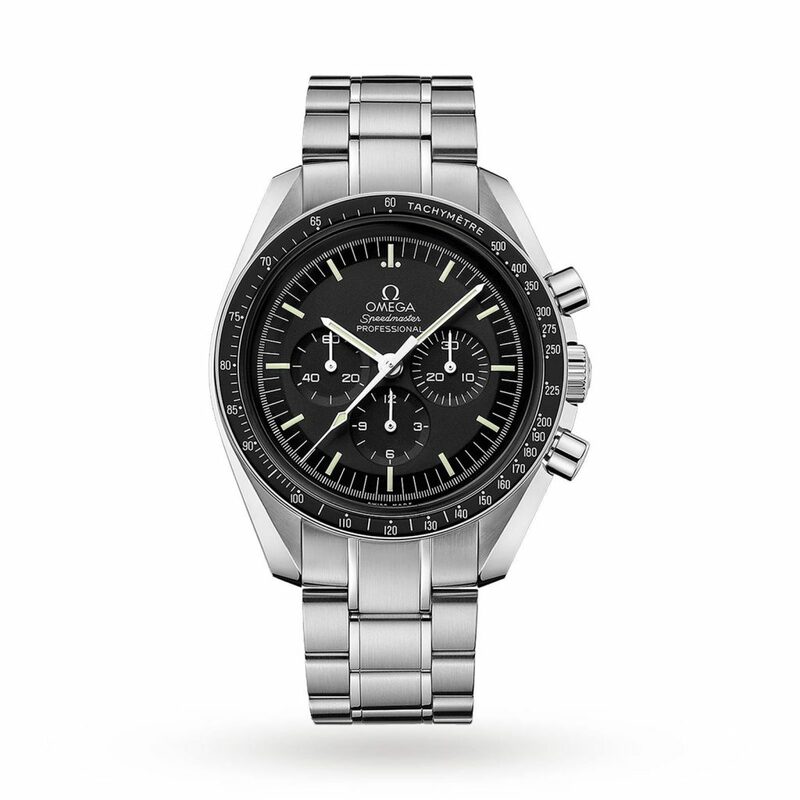 Powered by flawless mechanical calibre 1861 manual-winding movement and secured with a stainless steel NATO strap, this Omega Speedmaster Professional Men’s Moonwatch certainly lives up to its iconic status. Designed to provide the flawless level of accuracy demanded by space travel, this high performance timepiece features a bold black dial equipped with a small seconds sub-dial, 30-minute recorder, 12-hour recorder and a central chronograph hand, all protected by a robust hesalite crystal lens and framed by a black bezel complete with tachymetric scale. 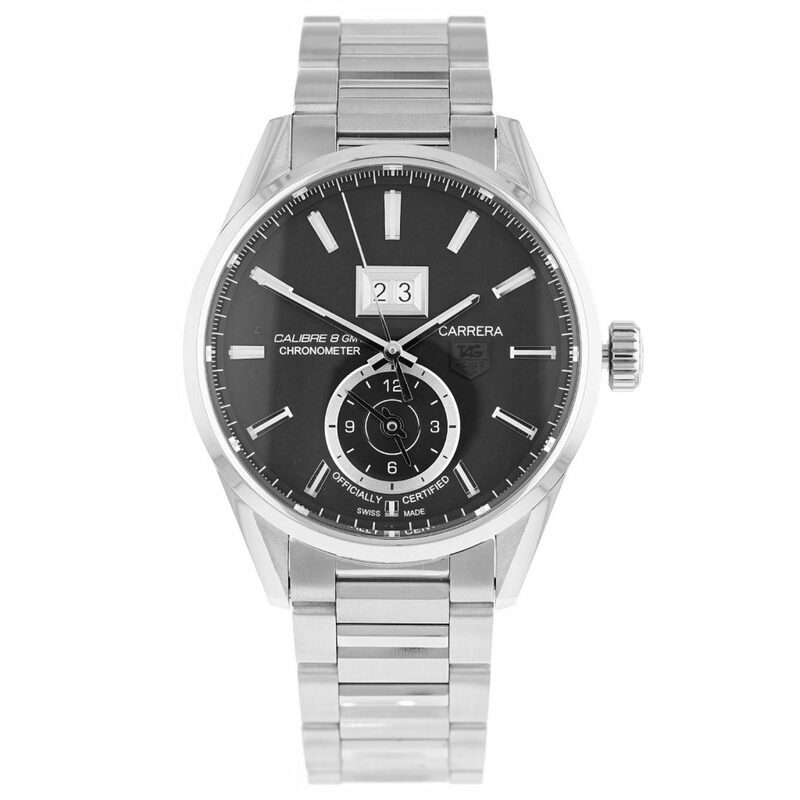 Set within a 42mm stainless steel case, this confident watch is water resistant to 50 metres. The Portugieser family is one of the oldest and most iconic collections from IWC. Offering high precision time keeping on land and at sea, this sought after range has always been technically and aesthetically ahead of its time. 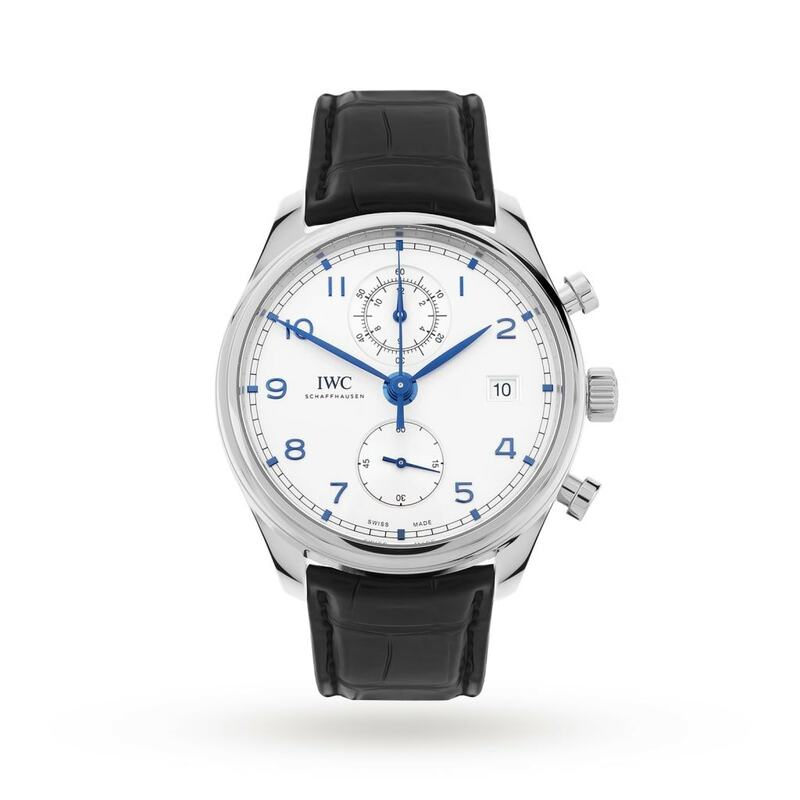 Inspired by the original 1930s Portugieser models, this IWC Portugieser Chronograph Men’s Watch makes the perfect companion for the discerning modern gent. Alongside a 42mm stainless steel case, this elegant timepiece features a silver-plated dial, complete with blue hands and appliqués, a date display and an anti-reflective, sapphire glass lens. The back of the dial is visible through a transparent, sapphire glass window, allowing you to view the rotor as it works. Driven by 89361-calibre movement, this functional watch features a 68-hour power reserve, flyback functionality and water resistance to 30 metres. It also allows you to stop time for up to 12 hours using the totalizer at 12 o’clock. In-keeping with its classic styling, this confident timepiece fastens with a black alligator leather strap. 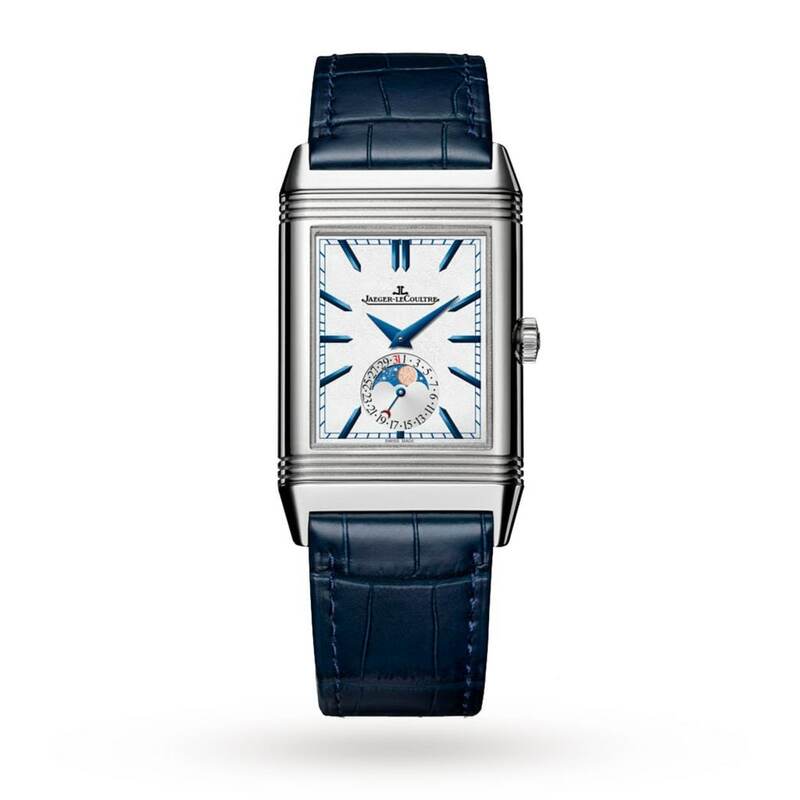 Founded by Antoine LeCoultre in 1833, Jaeger-LeCoultre is one of the longest established watch houses in Switzerland. Jaeger-LeCoultre is well renowned for creating elegant timepieces with sophistication and fine attention to detail; they have created over a thousand in-house calibres from tourbillions to some of the world’s smallest and complicated movements. With a reputation for leading the way in luxury horology, Jaeger-LeCoultre is an authoritative brand, respected by watch connoisseurs across the globe. Cool and confident, this Jaeger-LeCoultre Reverso Tribute Moon Gent’s Watch brings together a stylish crocodile leather strap, a robust steel case, and a striking silver dial, with high performance mechanical movement, water resistance to 30m, and an intriguing moonphase window. Whether you’re heading to the boardroom or the bar, you can rest assured that this handsome timepiece will ensure you are always on time and in style. If, like Jamie Roberts, you want to commemorate a special occasion with a timepiece, then visit one of our nearest showrooms today to browse our new collections.